When it comes to understanding your credit score and credit reporting, there are a lot of terms to remember. Because of this, sometimes it’s easy to get confused when it comes to knowing your rights and how to manage your credit repair efforts. 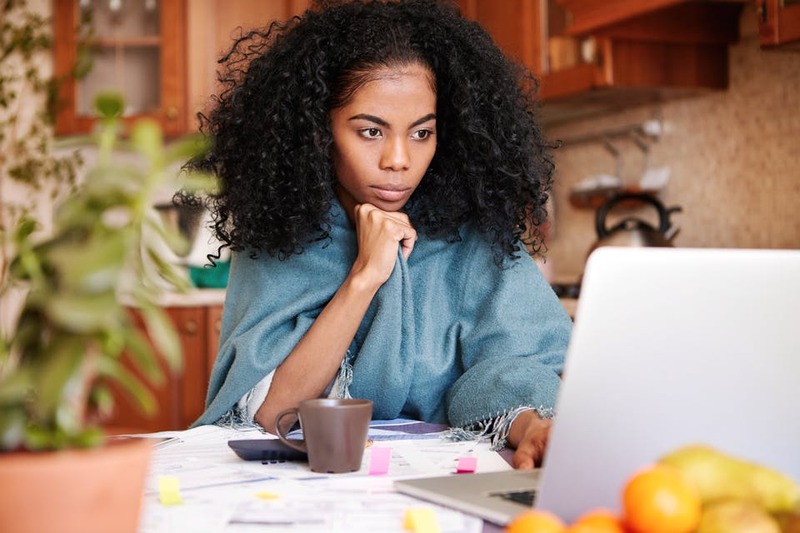 Two of the most commonly confused concepts in credit reporting are the statute of limitations on collecting debt, and the reporting period on credit reports. While these are two separate, non-related concepts, getting the two confused can potentially cause problems with your credit score. Simply put, the statute of limitations for any debt is the length of time a creditor has to bring legal action against you in order to collect the debt. This date varies from state to state and may be anywhere from three to ten years. It may also change depending on the type of debt. In some instances, such as a domestic judgment, the statute of limitations may be even longer – up to 20 years. However, once this date has passed, if a creditor tries to sue you to collect the debt, you have the legal means to successfully defend against having to make payments. An important thing to remember is that the statute of limitations runs out at a set period of time after the last missed payment or activity on the account. This means that if your account is past the statute of limitations, but you make a payment, you’ve reset the clock, and will have to wait for another three to ten years for the collection period to expire. In some states, just the promise to make a payment can reset the statute of limitations, whether or not you actually follow through on the payment itself. It’s very important to watch what you say in any phone call, letter, or other communication with a creditor so that you don’t accidentally reset the statute of limitations. In the meantime, your creditor will be able to legally sue you over the debt and attempt to recover not only what you owe, but interest as well. Add six months to the last date of activity on the account (payment or otherwise). Add the number of years for your state’s statute of limitations. After this date, your creditors can no longer successfully file suit, as long as you can prove that the statute of limitations has expired. You opened an account in May of 2015 and stopped making payments on June 3rd, 2016. Add six months to June 3rd for a date of December 3rd, 2016. Your state’s statute of limitations is 4 years. Add 4 years to December 3rd. Your creditors can no longer sue you for payment of that debt after December 3, 2020. Open-ended account: This includes any revolving debts like credit cards and retail store cards, as well as lines of credit. Oral agreement: Any promise that was made verbally, but wasn’t written down. Written agreement: A loan or other agreement with terms signed by both you and a creditor. Promissory note: A loan with specific terms on how often certain amounts should be paid, what interest is charged, and by what date. Common examples include mortgages and student loans. The length of the statute of limitations for each type of debt can vary greatly by each state. California, for example, has only a two-year limit for oral agreements but has a four-year limit for the other three types of debt. Iowa is a much stricter state, requiring a ten-year statute of limitations for promissory notes and five years for everything else. Other strict states include Louisiana, Missouri, Ohio, Rhode Island, and Wyoming. Some more lenient states include Washington, South Carolina, Oklahoma, New Hampshire, North Carolina, Mississippi, and Maryland. If you’ve moved since incurring the debt, check your terms of agreement to figure out which state’s statute of limitations applies to you. In some cases, it might be the state in which you took on the debt, not the one in which you currently live. By contrast, the credit reporting period only states how long the record will remain on your credit report, regardless of the actual time left on the statute of limitations. In most cases, after seven years, the debt will be removed from your credit report, whether or not you actually paid the debt. Here is where things can be confusing: Say the statute of limitations is 3 years in your state, and your debt is 4 years old, with no account activity in the last 4 years. This means that the statute of limitations has passed, even though the debt is still listed on your credit report. Debt collectors may contact you and try to get you to make a payment on this debt to have it removed from your account, but even if you don’t pay anything, the debt will be removed in another three years. However, if you make a payment on that account, and renew the statute of limitations, the debt may also be re-listed as a new debt – so any missed payments will once again have a negative impact on your credit score. Once your statute of limitations has expired, a collection agency can’t legally sue you, but that doesn’t mean they can’t keep trying to get you to pay the outstanding debt. There is a way, however, to get them to stop attempting to collect. By sending a notification of SOL expiration letter, you can inform the creditor that you know the statute of limitations has passed and that they should stop contacting you. Keep the language simple and straightforward and don’t claim ownership of the debt. Look at some letter templates as examples of what information you should include and what you should definitely not include for the best results. If you’re confused about the statute of limitations and the credit reporting period, you aren’t alone. There are several credit repair services that can help you, and that will offer sound advice of when it’s prudent to pay the bill and when it’s more prudent just to sit tight. Getting professional advice may help you to avoid unnecessary problems with your credit score. Remember, even the slightest incorrect communication with a creditor can reset your statute of limitations. Working with a professional puts them on the phone instead of you, so your emotions and nervousness don’t get the best of you. That way, you can successfully put old debts in the past and enjoy the benefits of having better credit.